Raffaella was born in Turin, growing from early childhood in an environment where singing, with particular reference to ballads and traditional songs, constituted the fundamental familial aggregation aim. She studied at academies and singing schools at Bologna, Roma, Osimo for about a decade. 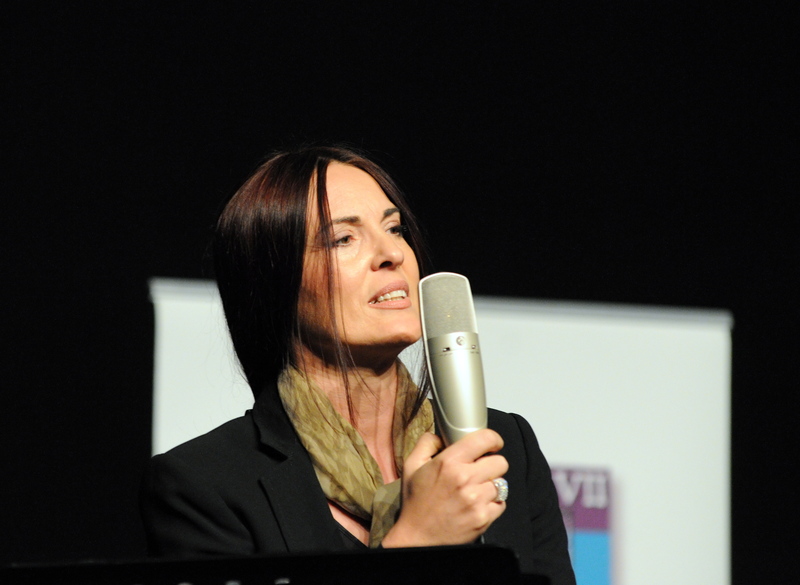 Raffaella teaches vocal technique and works as a teacher at fingerstyle guitar seminars led by Franco Morone. There are many songs etched in memory that still remain significant for me yet. The first listening date back to the mid ’60, songs I started singing since I was just 2 years old. I listened to them so many times that still echo in my ears: Non ho l’età by Gigliola Cinguetti, Nessuno mi può giudicare, Perdono by Caterina Caselli, Bandiera Gialla by Gianni Pettenati, Mettete dei fiori nei vostri cannoni by I Giganti, Con tutte le ragazze sono tremendo by Rocky Roberts..
A mosaic of sounds of an epoch by now distant, characterized by economic recovery and the desire to redeem millions of Italian families. There has been very other then. It was the magic moment of the great beloved Italian singer songwriters, sung and played, from Fabrizio De André to Francesco Guccini, Lucio Battisti and in the meantime, there were also taking wide space the groups of home traditional folk as for instance the Cantovivo and the Lionetta. A voice for everybody, that marvelous of Alberto Cesa. Our generation has been also flooded by English and American music: from the Beatles to the Rolling Stones, Woody Guthrie, The Byrds, Crosby Stills Nash and Young and the entire Woodstock ‘ 69 generation on the wave of the great American peace movement at the time of the war in Viet Nam with Bob Dylan, Joan Baez e Pete Seeger. And still Joni Mitchell, with particular reference to the album Blue. We devoted our tribute to Canadian singer-songwriter in our first CD Songs we Love from this album with the song “A Case of You”. Of her I would also like to mention the orchestrated version of “Both Sides Now”, written and directed by Vince Mendoza of the 2000: it is always the same artist, but, aside from the beautiful orchestral arrangement, here shines through all her life, a song written in ‘ 67 and now revived with great interpretative photos.